Signs of a solid Sunderland partnership but 'dreadful' performance from midfielder - Ethan's awaydays & Player Ratings are back! 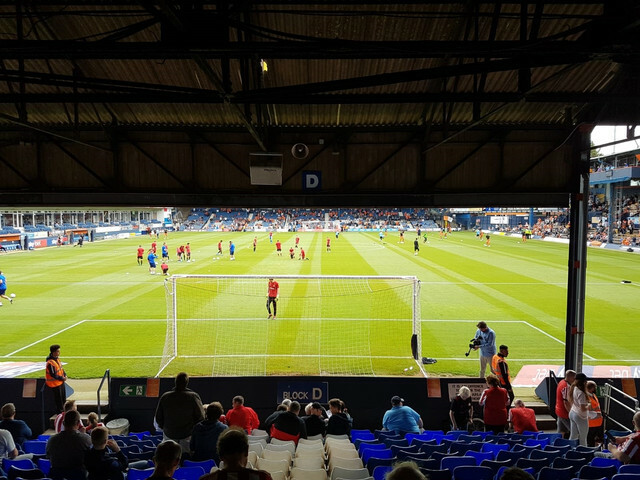 Away days are definitely back as our resident traveller Ethan gives us the low down on his trip to Luton. First of all, I’d like to say how much of a culture shock Kenilworth Road is for most Sunderland fans! For those who haven’t visited the home of Luton Town FC before, I assume it was a wake up call to say the least. From The Emirates, two years ago, to Kenilworth Road, with nets up to stop the ball going into the locals’ back gardens, is a massive change for anyone! The away stand is the Oak Stand and literally in the middle of houses. 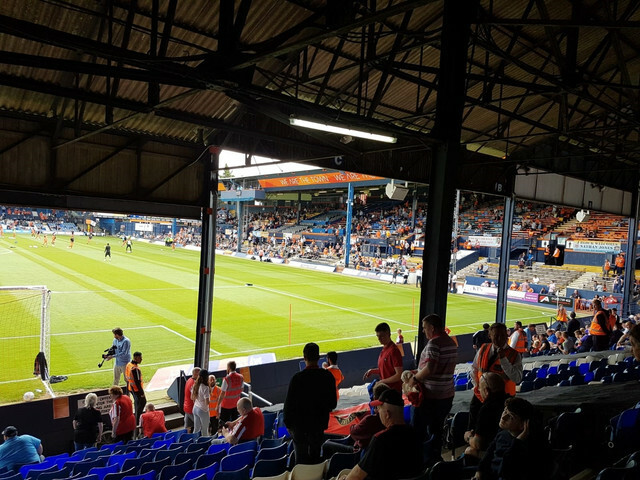 Based in an uninspiring part of the country, Luton’s stadium is your traditional football ground, seats frantically put in on the old standing terraces and in the middle of a residential estate. 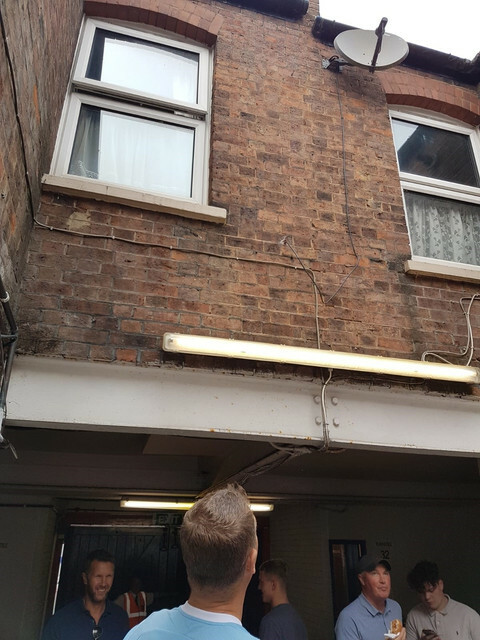 To actually access the terrace you have to go up some metal steps which gives you a great view of the back gardens of neighbours and their washing lines. The bar itself was tucked away in the corner and wasn’t designed for a large number of travelling fans, the same goes for the toilets, which were “worse than the Fulwell End” a phrase muttered by more than one person. Despite being obstructed by a support pillar, it was clear that the first half was pretty uneventful. A few potshots from Luton didn’t cause much concern. Jack Baldwin and Glenn Loovens dealt with any threat Luton offered - this could certainly be the start of a solid central defensive partnership; Baldwin a definite upgrade on Ozturk. Just on the stroke half time, Josh Maja burst through, after some fantastic work by adopted Mackem Lynden Gooch, and slotted it past the Czech goalkeeper Marek Stech on an angle. The travelling Wearsiders celebrated their first goal on the road in League 1 in front of a sold out ground. Despite Sunderland looking the better team in the opening stages of the second half, it was the Hatters who notched next with centre back Matty Pearson. Pearson scored past the helpless McLaughlin from a short corner. Sheehan played it to Harry Cornick before receiving it back, crossing the ball to Pearson who, off balance, smashed it in past the former Hearts keeper. Chris Maguire nearly gave an immediate response when he rattled Stech’s crossbar but, no matter what Sunderland did, we just couldn’t seem to score. Danny Hylton then missed a golden opportunity from a cross from the right but nodded a free header wide of McLaughlin’s sticks. From then on it was the home side that looked the most likely to score but ultimately it ended up deadlock at the final whistle. We should’ve had a penalty both first and second half. First a challenge on Honeyman where he was hauled to the ground around the six yard box, and the second incident was a handball by the defender on Honeyman’s cross was failed to be spotted by the officials, who were shocking to be honest. The first thing I’d like to say is that we looked a worse team when Cattermole came on, the only career left for him could be as a conductor (the way he waves his arms about at people) whilst not actually bothering to do it himself. Another thing is that it says something about your career when a 16 year old looks technically better and teaches you a lesson. On the subject of young Bali Mumba, he is certainly one to keep a hold of, now's his time to show what he’s about. He was out muscled a few times but he plays to his strengths, which is his technical ability and movement as well as a decent passing range. Yes he makes mistakes, such as last week against Charlton, but you cannot expect him to be the full product yet. Overall, a point is a good result away from home to against determined Luton side, which are more accustomed to playing together and had the support of a sell out crowd. However, the result was disappointing as we could’ve and should’ve won. Chances for Gooch were squandered and the woodwork came to Luton’s rescue. Fantastic support as usual from the Sunderland fans as we, yet again, sold out our allocation; we even had the support of chairman Stewart Donald who was in a box just across from the away end! McLaughlin: 7 – Distribution improved from last week, looked solid. Matthews: 6 – Didn’t do much. Baldwin: 7 – Looked comfortable and dealt with the majority of things very well. Loovens: 7 – Lacking pace but made up for it with his leadership and organisation. Oviedo: 6 – Thinks he’s a winger not a left back. Power: 8 – Sat in front of the defence really well and looked good in possession. Mumba: 7 (Cattermole ’54) – Looked good on the ball but isn’t the most physical! Honeyman: 7 – Should’ve had a penalty. Played decent overall. Gooch: 7 (Molyneux ‘90+1) – Loves to run at players and take them on, maybe too selfish at times. Maguire: 8 – Could be a real asset this season. Maja: 9 (O’Nien ’85) – Finished like an old pro but still think he needs someone up top with him. Cattermole: 3 – Dreadful and conceded the corner for the Luton goal, 10/10 for waving his arms around.